They crop up in the news from time to time- townships that are fighting the imminent progression of modernity that appears to threaten the historical aspects of their area. It could be the introduction of a set of traffic lights to encourage road safety for pedestrians, or the installation of a main water line to ease pressure on the existing supply; whatever the case and whether it is in the interests of the townspeople or not, there are always some who are determined to fight change and keep living in their ‘ideal’ little bubbles. This is the case in Orient, a secluded seaside village at the eastern edge of Long Island, which has begun to see a dramatic increase in weekend visitors from the other end of the island, New York City. With this influx of new people- including rich artists who have moved to the area, hoping to build up an artist commune- the original residents of Orient (whose families have owned the land for generations) begin to feel as though their simple community is being compromised. This novel, while long, is well-written (to a point) and builds up into a strong suspense-filled storyline. 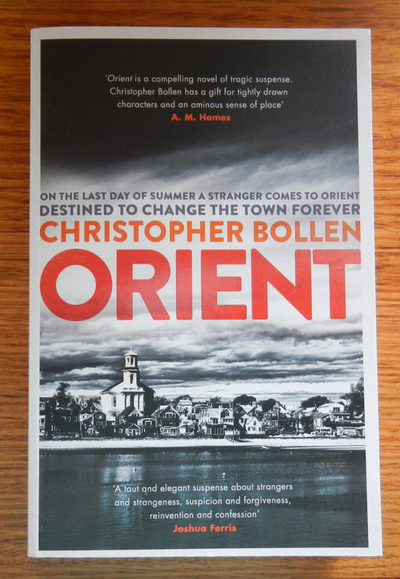 There are so many politics involved in the nature of small townships like Orient, and the author has done a good job of getting that message across. His development of the numerous characters would have been a challenge, but he is able to paint a strong representation of each of them- providing meaningful backstories and clear views of where they lie in the drama. Unfortunately, the once-tight and engaging plot starts to unravel at the end, leaving readers with a highly unsatisfying conclusion, and a lot of unanswered questions. Had he been able to successfully navigate this ending, despite the difficulties involved, the author would have probably gotten a higher score for his novel. That said, the book is still highly engaging, providing a clear insight into the ‘us’ and ‘them’ mechanics of small town living, and clearly demonstrating the difference that a stranger can make to a community bent against change.